It has been a while since I have brought you kind readers my latest favorite Shoujo manga, but today, you folks are in luck. When I first discovered the beautiful piece of artwork that was Kamisama Hajimemashita [or Kamisama Kiss depending on where you’re looking], I was flippantly browsing through the manga section of my local book store while waiting for Matt to finish work so we could go home and read comics and interview people and other things we comic people do. 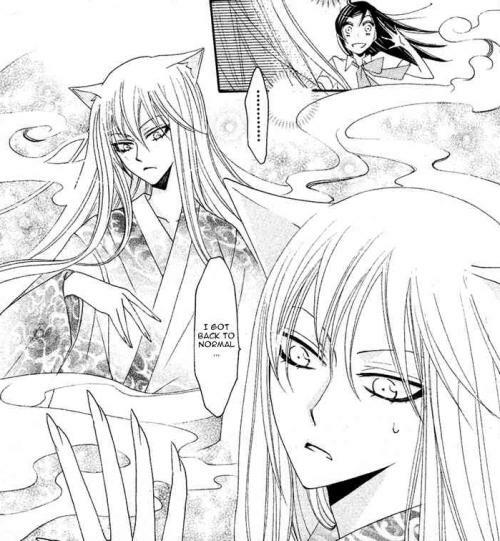 I picked up Kamisama Hajimemashita and started reading. Three volumes later Matt showed up and informed me it was time to go but I merely hissed at him and backed farther into the corner hugging the 4th volume as though if it were to be removed from my grasp I would die instantly. Why is this manga so good you ask? For multiple reasons. Let’s do an overview of the story first. Not only is it a creative new twist on a Shoujo that I had not seen in a long time, it was my first introduction to Japanese mythology. It is the story of a young homeless girl Nanami who, through a series of events, becomes the land goddess of a local shrine. Tomoe, a fox yokai, is the guardian of the shrine and begrudgingly helps Nanami bring the shrine back to it’s former glory all while attending class and helping other gods. This story seamlessly integrates the complex ideas of Japanese mythology into an easy to read and beautiful story. It does take a minute to get used to all of the new names, however once you get used to it, the read is easy. Although it may seem like a lot of work, I would keep a list or Wikipedia handy to do a little research on what you are dealing with. It opens up a whole new world of demons, monsters and deities that you can put in your list of information you really don’t need to know but can definitely impress others in the right circumstance. Now onto things like the artwork and the characters. The artwork is wonderful in this. 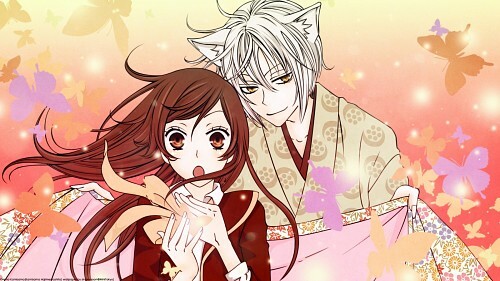 It has a kind of whimsical organic quality fitting of a story that has the fantasy that Kamisama Hajimemashita has. The characters are all complex with a good amount of comedy running through them. You can feel for each and every one of the characters. From the deep dark past of the committed but fiery Tomoe to the happy go lucky but equally hard working Nanami. I highly recommend this manga. Every time a new chapter is released and I finish it, I table flip all the things that could possibly be table flipped and sit in a corner just waiting for my email alert to let me know the next chapter has been released.